From the time Harrison Jedel established his foundation in 2011, his main focus was to live a frugal life while investing aggressively so that his foundation would be large enough to make a difference, remembers Jedel Family Foundation President Don Hubbs. Upon his death in 2016, he seeded the Jedel Family Foundation with $27 million, an art collection and a 1994 Windstar. Jedel, who lived in Kansas City most of his life, went to work for his uncle in the scrap metal business following his service in World War II. Jobs were scarce and he started out driving his uncle to work at I.J. Cohen & Company. Jedel went on to build his career there, and following his uncle’s death became one of the company’s largest shareholders. Five years before he died, Jedel decided that he wanted his estate to go to charity to support cancer research, education and the arts. He was committed to making the foundation large enough to make a significant impact. “Even into his 90’s he preferred risky investments so he would have the potential to make outsized returns,” Hubbs says. Earlier this year, Jedel’s foundation established six non-endowed scholarships through the UMKC Foundation, three in art/art history and three in math. These scholarships provide $2,000 per student, per semester, for a total of $24,000. Jedel would be glad to see his focus and dedication have paid off. Talmadge was able to complete an internship in Kansas City with Novogradac & Company, a professional services company that offers accounting, valuation and consulting. The internship led to a part-time job while she’s been pursuing her degree. Talmadge will begin her career there when she graduates in May. 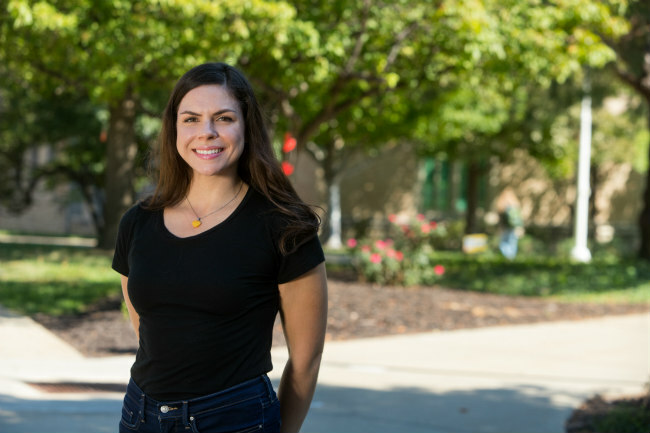 Fellow Jedel Scholarship recipient Whitney White, who is planning to graduate with a bachelor’s degree in mathematics and statistics and physics, agrees that her scholarship alleviates the financial stress of tuition, but for her the benefits go beyond that. White plans to pursue her master’s in electrical engineering upon graduation. Hubbs believes Jedel would be encouraged by the scholarship recipients’ successes. There’s no question his intention to make a difference has come to fruition.